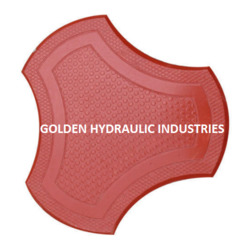 Our firm has achieved a well-known position in the market for providing Plastic Pavers Mould to the patrons. This product is available in many dimension such as 40 mm, 60 mm, 80 mm, 100 mm and many more and also be customized according to patron’s necessities. Offered range is strictly inspected on certain norms to fully eliminate all types of defect prior to delivering at patron’s end. Backed by the team of proficient professionals, we are presenting an extensive series of Paver Mould. These products are made employing the best quality raw material that is acquired from trustworthy sellers of market. Moreover, to keep the quality, quality inspectors also inspect this product on dissimilar industry norms. Due to sturdy nature and longer life service, these are highly admired in the market. We Golden Ghaziabad one of the most respected firms of a flawless range of Plastic Concrete Tile Mould. Offered paver Mould is ideal for parking areas,road,street widely acknowledged amongst our valued clients for its outstanding features. We offer this paver tile in many specifications in tune with the requirements of our valued clients. This paver tile is inspected on various parameters, before its dispatch. 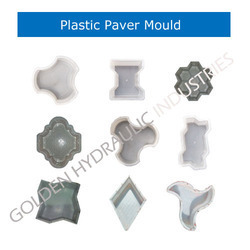 We are one of the coveted manufacturers and suppliers of a wide and exclusive range of Silicon paver Moulds. This whole range has been designed and developed with the assistance of cutting-edge technology using quality approved raw materials. Acknowledged for its numerous variegated features of excellent finish, less maintenance, heat resistance and longer service life, this range can be availed from us at the most comprehensive and market leading price range. In this range we offer Designer PVC Moulds.